Introducing AccuClean—the most advanced way to filter and clean the air throughout your entire home. 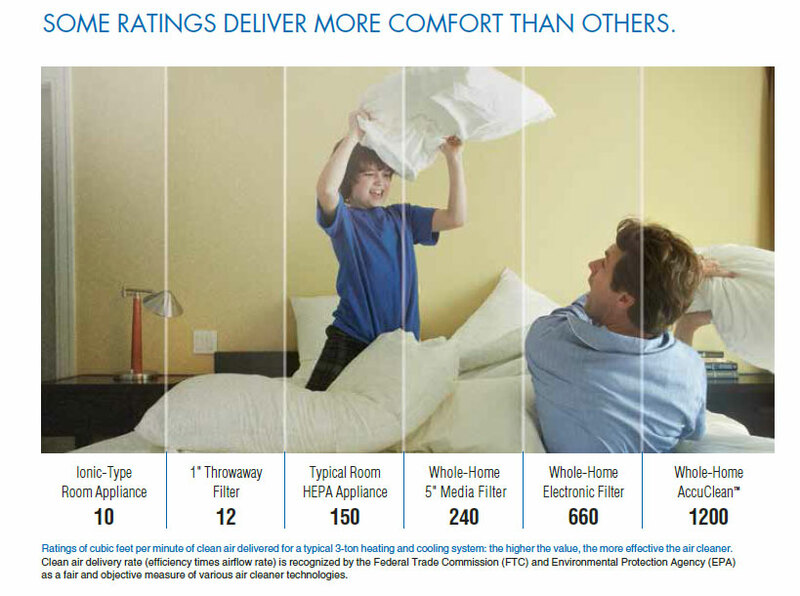 AccuClean is 8 times more effective than even the best HEPA room appliance, and 100 times more effective than a standard 1″ throwaway filter or ionic-type room appliance. 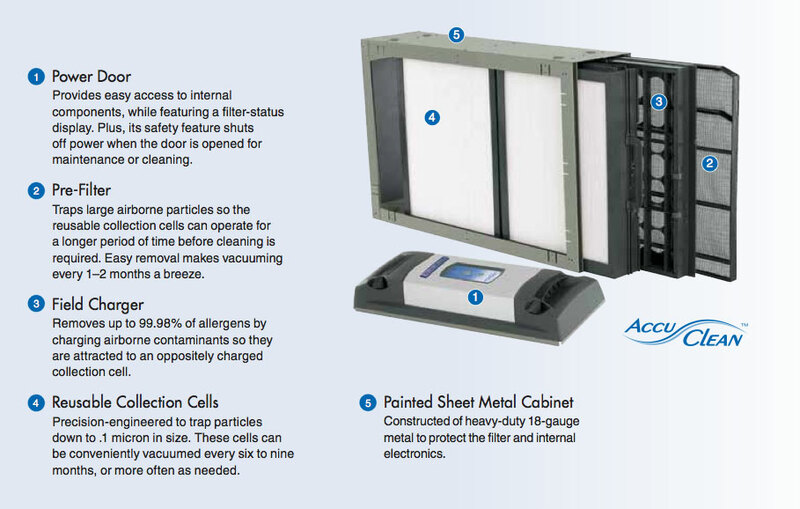 AccuClean removes up to an unprecedented 99.98% of unwanted particles and allergens from filtered air in your home. This should bring welcome comfort to family members who suffer from asthma or allergies. With AccuClean air filtration as a part of your total home comfort system, you and your family will breathe easier than ever before. 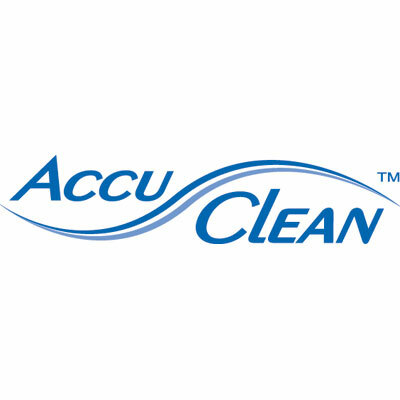 When you choose American Standard AccuClean, you’re choosing cleaner air for you and your family. That’s because AccuClean can remove up to an unprecedented 99.98% of allergens from the filtered air in your home. So your family can breath easier, no matter the season. What’s more, our revolutionary technology can trap allergens down to .1 micron in size. Particles like dust, soot, mold spores and bacteria are often .3 microns. AccuClean removes tiny particles like these, reducing the potential triggers for asthma and allergy attacks. So say goodbye to irritating particles like dust, pollen, pet hair and dander, dust mites, mildew, lint, fungus, bacteria and more. 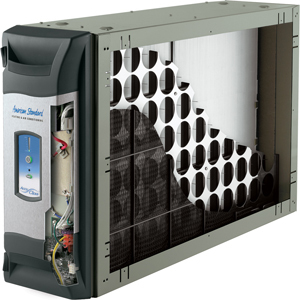 And say hello to clean, healthy air from the industry’s most advanced air filtration system – AccuClean.